Dalat offered Yersin both joy and surprise when he set foot on this land at 15h30 on June 21 1893. He had said: “From the pine forest was stunned at the view of a wild desolate plan, as if filed with green waves from the sea. The range of Langbian mountains stood in the horizon of the northwestern highland embellishing the landscape and highlighting the beautiful background”… His description completely convinced Governor General Doumer and he therefore decided t choose this land as a retreat. Not only Governor General Doumer but his cussessors like Klobukowski, Albert Sarraut, Roume, Maurice Long and Decoux and Europeans other had chosen Da Lat as a retreat, for it evoked nostalgia when World War I broke out… They all felt joy from this wonderful land. 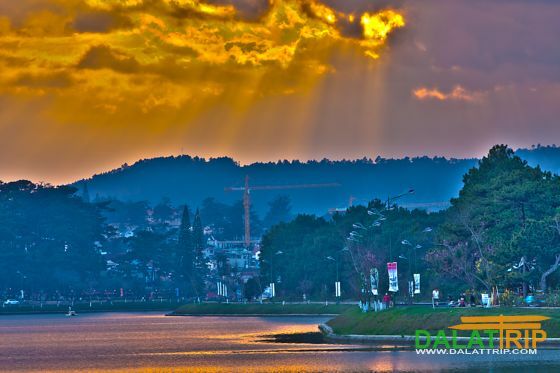 And surely anyone who has once set foot in Dalat has not only found some joy but also great fun for themselves in the wonderful scenery, the fresh air and friendly, charming and hospitable residents some interpretation of the meaning of Dalat is based on the mispronunciation of the two words “Đa Lạc” which in Sino-Vietnamese means many/much (“Đa”), joy fun (“Lac” as such, “Đa Lạc” mean “lots of joy/fun”. 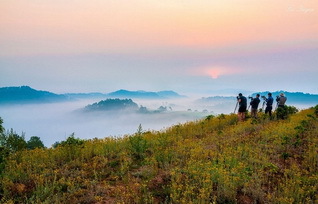 The history of 120-year Dalat shows that: in 1920, Governor-General Maurice Long signed a decree to establish the Lam Vien autonomous area(Lam Ven plateau was separated from Lam Ven province and ranked this autonomous area No 2 where Lam Men Resort department and South Central Tourism department were located… L’Asie nouvelle illustrée has once reserved ssue No 56 in 1937 to praise this ideal sports, R& Rand hunting retreat. The wave of tourists to Dalat rose in world war ll after the government policy to choose Dalat as the “Indochina’s summer capital” and every year government officials came here to work for up to 6 months… In 1945, Munier wrote in Indochine newspaper: “The climate, beautiful scenery and growth potential have made Dalat privileged place a which no other places could compete with Dalat can become a major resort destination in the Far East…Dalat is the land of flowers of pine trees, and of vegetables… suitable for intellectual activities, Dalat is also an ideal hunting area Andafterwards, Dalat has constantly been considered as a resort city in Vietnam and the world…”. 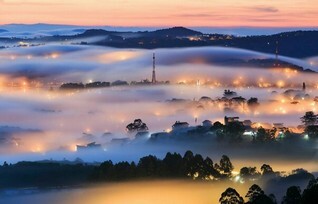 Do come to Dalat to feel the fresh and cool of heaven and earth, have more fun and love life more!